Orlando is always a great tourist destination, but even more so in the cold winter months up north. The weather is warm most of the time, and we have no shortage of world famous attractions. 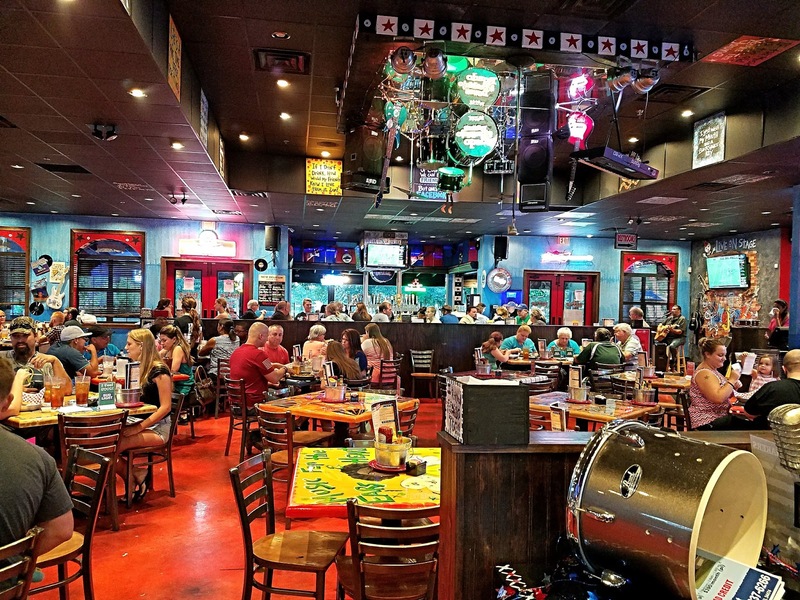 In addition to those great attractions, the restaurant scene in Central Florida has been booming for the last few years as well. So whether you are a local or in town for a visit, check out one of these fine establishments for a great NYE dinner celebration.Two of them are located on International Drive and two of them are located in Winter Park, both of which are excellent places to see the sights and sounds of the final countdown to 2017. Ring in the New Year at Del Frisco's where flavors are prime, hospitality is unsurpassed and our party has never found its equal. 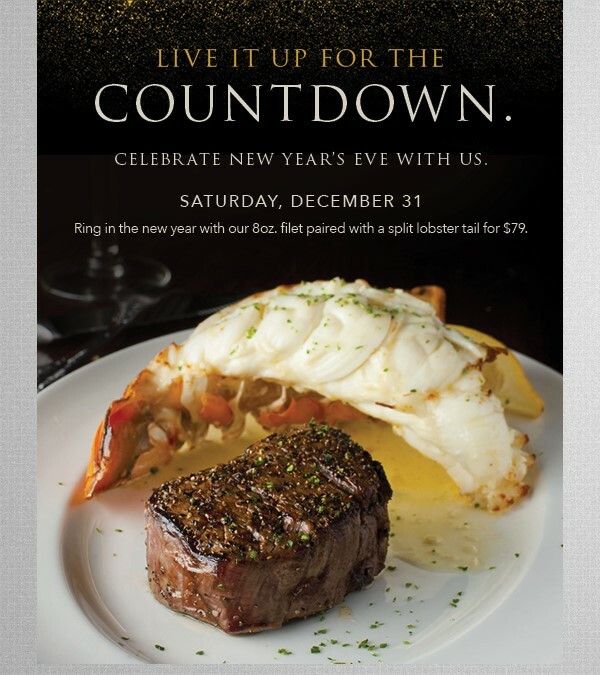 Join in on the celebration featuring our Filet Mignon 8 oz paired with a succulent 8 oz Lobster Tail. That's not all... Stay for the countdown and enjoy a celebration like no other! TR Fire Grill’s $50 4-course New Year’s Eve menu includes your choice of appetizer, salad, entrée, dessert and a glass of wine from one of the entrée wine pairings, plus sparkling wine to toast the new year at midnight! PLUS, the Winter Park restaurant will be open for brunch the next day starting at 11am – just in case you need to cure some hangover blues. Visit the newly renovated Tony Roma’s on International Drive to ring in the new year with their $45 New Year’s Eve menu that includes your choice of soup or salad, entrée, dessert and a glass of wine from the preferred wine pairings – and of course, sparkling wine to toast the new year at midnight. Hours: 11:30 a.m. – 10 p.m.
Cocina 214 will be serving their regular menu, but a complimentary glass of champagne will be given to each guest to help ring in the New Year! Celebrating the New Year with classic champagne has become a trend of the past. 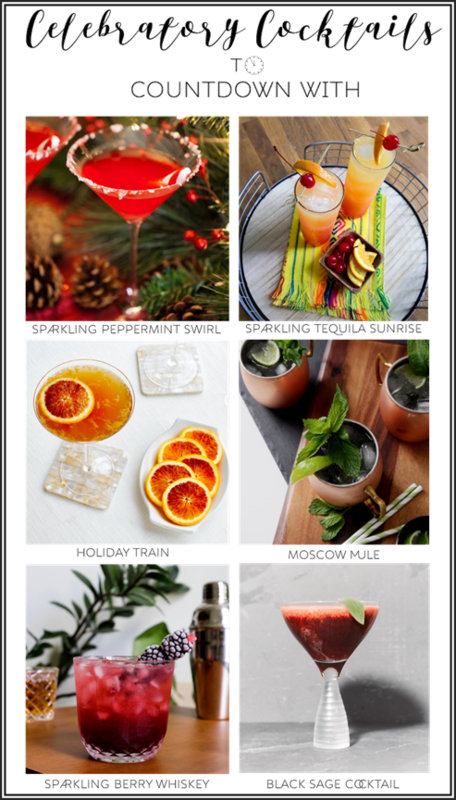 This year, countdown to 2017 with six sparkling cocktails featuring bold flavors and pops of color. Think—cocktails with coffee liqueur to help you stay up and party all night! First created in the Pacific Northwest in the early 1990’s, Sparkling Ice makes a portfolio of refreshingly bold sparkling waters, teas and lemonades. Bursting with real fruit flavor and just the right amount of fizz, Sparkling Ice delivers 19 irresistible fruit combinations, without all the calories. Currently recognized as one of the fastest growing non-alcoholic beverage brands in the country, Sparkling Ice beverages are available in a variety of refreshing flavors. The lineup includes Black Raspberry, Orange Mango, Pink Grapefruit, Kiwi Strawberry, Coconut Pineapple, Pomegranate Blueberry, Peach Nectarine, Lemon Lime, Crisp Apple, Cherry Limeade, Strawberry Watermelon and Black Cherry. Fill a lowball glass with crushed ice. Muddle blackberries in a cocktail shaker. Add ice, lemon juice, thyme sprig, simple syrup, whiskey and shake. Pour over ice in a glass and top with Sparkling Ice Essence Of Lemon Lime. Garnish with frozen berries and serve. Mix coffee liqueur and Black Raspberry Sparkling Ice in a cocktail glass. Just before serving, gently add heavy cream and garnish with a sage leaf. Chill copper mugs. Pour the vodka over the ice, add the unflavored Sparkling Ice Essence Of Water, ginger syrup, and lime juice then stir. Garnish with a lime wedge and fresh mint then serve. Fill a tall glass with ice cubes. Then pour orange juice and tequila. Top with Sparkling Ice Essence Of Tangerine water and grenadine. Garnish with a maraschino cherry and orange slice before serving. In a rocks glass with ice, pour cognac and top with Black Cherry Sparkling Ice. Garnish with a cherry before serving. In a cocktail shaker with ice, shake Grand Marnier, Sparkling Ice Peach Iced Tea and squeeze the juice from a blood orange. Pour into a martini glass and top with a slice of blood orange for garnish and serve. Mango’s Tropical Cafe, now in its 25th year on South Beach’s iconic Ocean Drive, has hosted thousands of private parties for individuals, families, offices, as well as celebrity functions and special events for large multinational corporations. Mango’s Orlando, which opened in 2015, is a dream venue that changes the game on International Drive. It is a decadent design across 55,000 square feet that creates an epic experience people will always remember. Many of you who follow my blog, know that I am often in Miami...especially during football season. I have been to the original South Beach location several times over the years, and it is always a spot I bring friends and family members to. The original Mango’s is iconic. If you watch TV, movies, sporting events, you have seen the neon lights of Mango’s more than once in your life. Mango’s Tropical Cafe Orlando is the largest restaurant and banquet facility & nightlife destination on International Drive. Located near the Orange County Convention Center and all the I-Drive Hotels & Resorts, it’s the perfect place to entertain your guests. The Orlando Mango’s features lavish, unique private party areas and can accommodate up to 2,000 guests, at once. The world famous Mango’s Dancers like the ones from South Beach, are carrying on the tradition at the Orlando location. The shows are full force and come alive with a dazzling array of lights, music, and talented performers who love what they do. Mango’s dinner & show is a three course, prix fixe dining experience and is served nightly. The world famous Mango’s dancers along with a live band and DJ’s are sure to entertain. This show also features the Michael Jackson Tribute, The Celia Cruz Experience, Brazilian Samba Show, The Cuban Conga Show (featuring a customer Conga Line), and many others. We were treated to the Aioli Chicken Lollipops with mango BBQ sauce for an appetizer, and they were pretty tasty little treats. The homemade beef and chicken empanadas with Sriracha sauce are full of spicy and crunchy goodness. You can't go to Mango’s and not have a drink. Any flavor of Mojito you get here will be delicious. The Pineapple Mojito is on the left, and the Coconut Mojito is on the right. Both were excellent. My guests entree was the Florida Red Snapper sauteed with garlic and white wine sauce over mashed potatoes and vegetables. This was a good dish, but could have used less breading. My entree choice was the Churrasco with mojo sauce, black beans and rice and sweet plantains. This was about as tropical as you can get and the churrasco was nice and tender. Our first dessert to sample was the Chocolate Layer Cake. This was a very rich and moist slice of cake that is sure to satisfy your chocolate cravings. The second dessert we tried was the Cheesecake. Although simple in concept, this cheesecake was delicious and really hit the spot for a dessert choice. 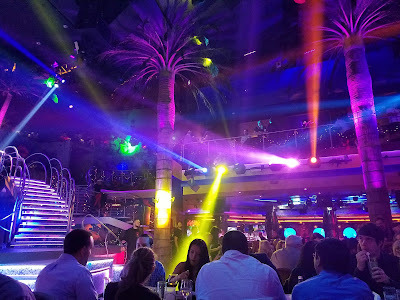 If you are looking for something different to do in Orlando, check out Mango’s. This place is way bigger than the original South Beach location and still produces the sounds and the vibe that made the original famous. Come for dinner and a show, or after dinner, bring your group of friends to celebrate an exciting night at Mango's, which is aiming to be the spot to go out in Orlando. Every night of the week, enjoy incredible live music, amazing DJs, and a rocking dance floor across eight bars. You'll have an epic time like no other. Parking does fill up fast, so if you see a long line to get in, just park at the I-Drive 360 garage. There are plans already in the works to build a large parking garage next door that will more than accommodate everyone. Mango's is open from 6:00 pm until 2:00 pm everyday except Sunday, as they open at 5:00 on Sunday. Local Florida residents and out of town guests alike are invited to ring in 2017 in oceanfront style at Fort Lauderdale Marriott Pompano Beach Resort & Spa. McCoy’s Oceanfront, the resort’s beachfront restaurant whose namesake pays homage to the Prohibition era William “Bill” McCoy, will host a New Year’s Eve Celebration complete with delectable dining, live entertainment, party favors and more. Kicking off at 9 p.m., McCoy’s will be serving up a five course prix-fixe menu prepared by Executive Chef Eric Kaszubinski. Priced at $135 per person, reservations also include a split of Champagne per couple, chocolate truffles, party favors, live entertainment and a Champagne toast at midnight. The meal will begin with an amuse of Citrus Whipped Goat Cheese, Marcona Almond and Grilled Bread. Appetizer choices will include Charred Octopus with Fingerling Potato, Fennel and Smoked Paprika Lemon Oil; Fried Green Tomatoes and Sautéed Oysters with Bourbon Bacon Jam; or Charcuterie and Farm House Cheeses. A salad course will include a choice of Roasted Beets, Butternut Squash, Arugula, Feta, Pepitas and Maple Dijon Vinaigrette; Grilled Gem Lettuce with Fried Artichokes, Sweet Tomatoes, Poached Farm Egg and Caper Vinaigrette; or Baby Iceberg with Crisp Pork Belly, Pickled Shallots, Chipotle Green Goddess and Cornbread Crisps. -Grilled Veal Chop with Wild Mushroom and Crab Ragout, Candied Corn Risotto and Braised Winter Greens. -Florida Black Grouper with Saffron Rice Cakes, Snap Peas, Rock Shrimp and Sofrito. -Grilled Quail and Pan Roasted Duck Sausage with Braised Savoy, Grain Mustard Spätzle and an Apple Fig Compote. -10 Ounce Grilled Bone-In Filet with Pickled Cipollini, Duck Fat Fingerling Fries, Bone Marrow Butter and a Red Wine Reduction. -Farro Mushroom Risotto with Tuscan Kale, English Peas and a Butternut Squash Puree. Dessert selections will include McCoy’s Rum Cake with Pickled Mango, Chantilly Cream and Salted Caramel; Chocolate Trio of Warm Chocolate Cake, Coffee Pot De Crème and Coco Nibs; or Key Lim Cheese Cake with Pineapple Compote, Strawberry Gastrique and Toasted Coconut. Reservations can be made by calling 954-782-0100. Say Adios! to 2016 in Old Havana with Cuba Libre Restaurant & Rum Bar’s Grand New Year’s Eve Buffet and Late Night Package. Cuba Libre, located in Pointe Orlando on International Drive, is now accepting reservations for its New Year’s Eve celebration, featuring an incredible buffet spanning the entire Havana Ballroom, plus late night admission, DJ and dancing, a champagne toast, reserved table throughout the night, party favors and noisemakers to ring in the New Year, all for $75 per person, or $45 for children under 12. Cuba Libre’s Grand New Year’s Eve buffet, created by Executive Chef Jose Gonzalez, is comprised of 35 different items such as grilled sirloin, roasted turkey breast, orange porchetta, shrimp al ajillo, Ropa Vieja, Florida Mahi-Mahi, citrus grilled chicken breast and grilled vegetable paella. There will also be tapas, ceviches, raw bar items, artisan breads and cheeses, desserts and celebratory dishes for a memorable evening in Old Havana, on International Drive. For those wishing to dine early, an a la carte dinner menu will be served from 5-8 p.m. The dinner menu features two-time James Beard Award-winning Chef-Partner Guillermo Pernot’s Cuban tapas, appetizers, entrees, cocktails and desserts. Reservations for the earlier seating can be made on Cuba Libre’s website. Jack & Claire Miller opened the first Miller's Ale House in 1988, in Jupiter, Florida, as a local place be enjoyed by all walks of life. The restaurant has become known for it’s casual sports bar atmosphere with freshly made food at reasonable prices. 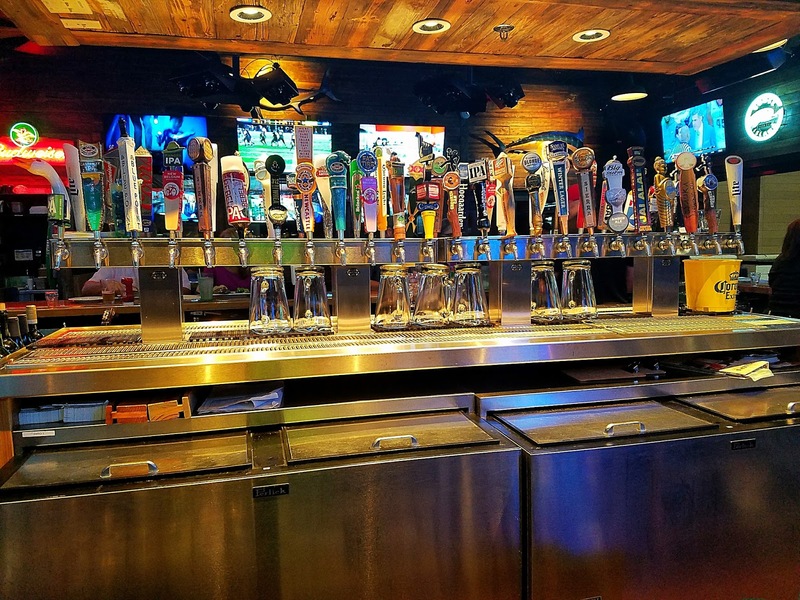 Miller’s is a place where making friends is as easy as ordering your next beer and is a great place to watch sports. Everyone can find something they love on the menu. They have become well known for the signature hand breaded, boneless chicken Zingers, tossed in your choice of sauces. From sweet Thai chili to the spicy Mt. St. Helens, they have 16 sauces that will turn anyone into a Zinger lover. The menu also features steaks, original pasta dishes, salads, sandwiches, desserts and lots of appetizers to share with friends. The full service bar features specialty cocktails like the watermelon margarita, a nice wine selection; and over 75 varieties of local craft, seasonal and domestic beers. 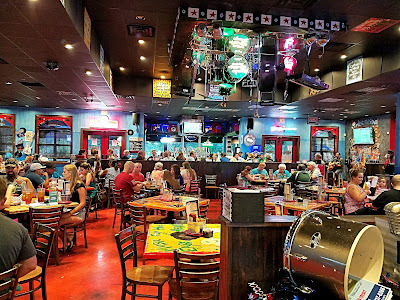 The Miller’s locations in Florida offer all day and late night happy hour specials that are hard to beat, making it the perfect place to unwind any time of day. The Potstickers are pork dumplings on a bed of cabbage served with a side of tangy plum sauce and are pretty decent for a sports bar. The Zinger Flatbread is great to share with friends at the bar with freshly chopped, crispy Zingers tossed in a combination of garlic and hot sauces over a bed of bleu cheese sauce. Bigger than the bun, the Big Red features lightly fried boneless chicken breast smothered with hot sauce and topped with melted Monterey jack & cheddar cheese on a brioche bun. I have always enjoyed the Prime Rib French Dip at Miller’s. This sandwich is loaded with slow roasted choice prime rib shaved thin, topped with sauteed onions and melted Swiss cheese served on a sub roll with hot au jus and fries. Zingers have become famous at Miller’s and are always a good choice with hand breaded boneless chicken tenders tossed in your choice of sauce. Sweet Potato fries can be substituted as a side, or you can order them as an appetizer with a sweet marshmallow sauce to dip them in. This is another great item to share while watching the game. Miller’s Ale House features an all day happy hour from 11 a.m. to 7 p.m. on Monday to Thursday with $2.50 Drink of the Day, $2.95 pints of Miller Lite, $4 craft pints and $5 specialty cocktails. The Power Hour is from 4 p.m. to 6 p.m. on Monday to Thursday with $5 Miller’s Ale House World Famous Zingers and $6 Miller Lite Pitchers. 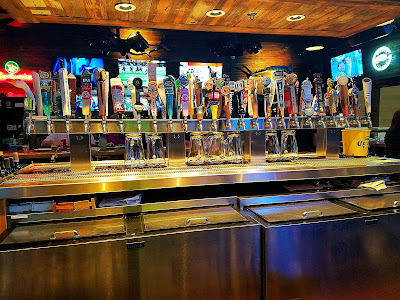 Late Night Happy Hour is From 10 p.m. to close Monday to Thursday and features $2 Miller Lite Pints, $6 Miller Lite Pitchers, $5 craft beers, $7 sangria pitchers and a variety of $5 appetizers, including Zingers and Ale House Loaded Fries.